This is a great book for beginning readers. 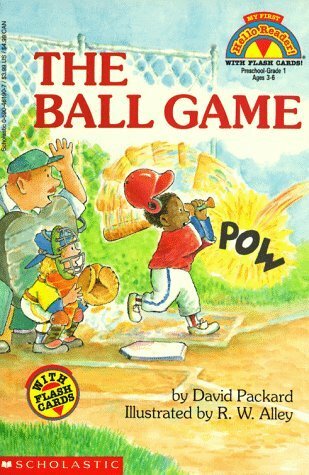 It's a very short story about a baseball game, but we really enjoyed the cards that were part of the book. We used the cards to put together the sentences in the story as well as other fun sentences. And we laughed at the illustrations in the back of the book that depict alternate meanings of words like "plate, slide, and tied." It's a helpful book when working with younger children who are just learning to read.